RENO, Nev. -- A 20-year-old woman at the center of an end-of-life court battle over her treatment at a Reno hospital has died while still on life support, her family's lawyer said Tuesday. Aden Hailu died about 4:30 p.m. Monday at Saint Mary's Regional Medical Center, where she never awoke from anesthesia after surgery April 1, said David O'Mara, the attorney representing Hailu's father and family. O'Mara said the family was told the cause was respiratory failure. The hospital didn't immediately comment. Hailu's father, Fanuel Gebreyes, lost a bid in court last week to delay brain electroencephalogram, or EEG, tests that the hospital said would show she was brain dead and wouldn't recover. Washoe County Family Court Judge Frances Doherty had given Saint Mary's the go-ahead to conduct brain wave tests, but indicated she wouldn't rule until at least Jan. 22 on the question of life or death. O'Mara said Tuesday it didn't appear the tests had been done. He said he had no more immediate information. O'Mara earlier accused the hospital of wanting to pull the plug to cut costs. He said Gebreyes felt that that as long as there was a chance Hailu was alive, the hospital should treat her or find a place that would. The father appealed to the Nevada Supreme Court after the doctors at Saint Mary's pronounced Hailu dead last May 28. The high court ruled Doherty too quickly rejected the family's bid to keep Hailu on life-support and sent the case back to Doherty. The judge last week said she wanted both sides to submit arguments about whether additional EEG, CT scan and eye reflex tests should be performed. Attorneys representing the hospital argued it was unfair to force the hospital to treat Hailu indefinitely. The hospital said money wasn't the issue, but that administrators needed to respect doctors' medical judgment. Hailu was from Las Vegas and was a freshman at the University of Nevada, Reno. Doctors say she suffered severe low blood pressure and a lack of oxygen to the brain during surgery to remove her appendix and explore the cause of unspecified abdominal pain, according to court documents. 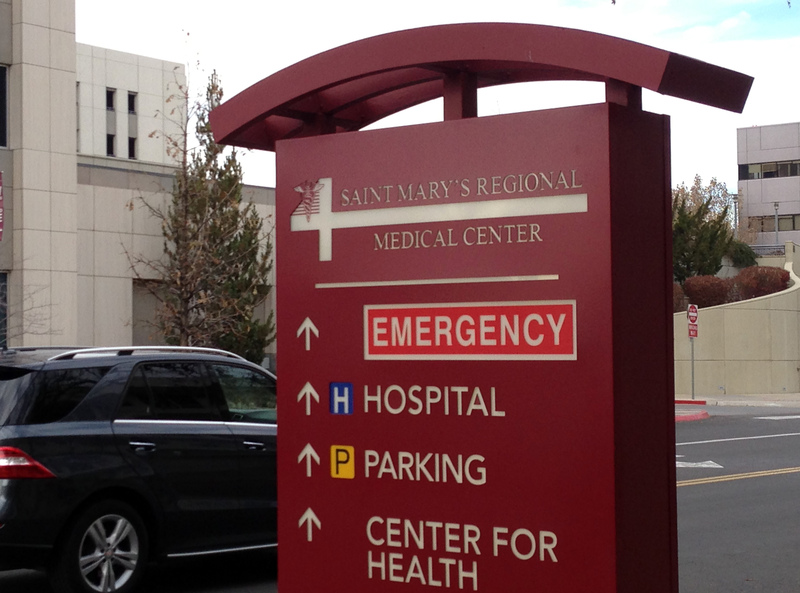 Saint Mary's doctors said three EEG tests conducted during the first two weeks of April showed declining brain function, and no EEG tests were performed after that. Gebreyes, meanwhile, refused to consent to new brain wave tests. He insisted that Hailu needed treatment, not tests, including thyroid medication and a tracheostomy so she could receive nutrition through her throat, not just intravenous fluids. The judge told the father he could move Hailu to another facility if he wanted, but O'Mara had told The Associated Press the family couldn't find a place to take her.